The technician came in as before, and completed his application. All is good. carlos is great. does a wonderful job and explains what he is doing. We have been using Lloyd Pest Control for over 15 years at both our residence and our church, and are extremely satisfied with the service they provide. The technicians are very knowledgeable and personable and the rates are competitive and fair. always lets us know when he is here, and if there are any areas that need special attention...very friendly and courteous......does a swell job. Robert performance as all this years with Sagewater Spa is excellent! Carlos has been servicing my home for a number of years. He is the best, personable and very thorough. Mikie is my technician. He is very thorough in his work and answers any questions I might have. I have used your service for years and have always been satisfied. Mikie is outstanding. Great job. Great notification about when coming. No complaints. Lloyd Pest Control provides excellent service. Their technicians are professional, courteous and efficient. An excellent company! Rob provides outstanding service. Always friendly and courteous. Will recommend to everyone. Had Lloyds Pest Control for many year, in Orange County and here in Indio. Great service and especially helpful. Also Miki who does our serving is fantastic. Would highly recommend them to anyone. I have been with Lloyd Pest Control for 7 years now and cannot think of a better, more reliable company. Robert does an excellent job. Service is good. Ontime Thank you. my service tech Mikey is the best! Friendly, great communicator, reliable. I have 2 homes serviced by Lloyd pest control and they are very professional, consistent and give excellent customer service on both properties. Robert Winchester does a fantastic job! Happy with service to my home thanks a lot. Great service. Robert is highly professional and responsible. Does an excellent job and ensures we know what he has done each visit. We never have to call to set up appointments as he sets up a regular schedule and shows up as planned. Our ant problem is solved and the maintenance program insures it stays that way! Problem free since beginning pest control with Lloyd’s to include roach and red fire ants. Highly recommend! Excellent technicians very friendly knowledgeable and Good work ethic. My husband's father had a cousin who owned a Pest control Co. in Florida. And let me tell you Jamie that you have a keeper in Robert. I have told you several times all of his qualities and just the fact that he speaks English and understands all of what you say to him....well I think you know what I'm saying. Thanks E Kolkana. Great service always on time and efficient. My wife and I have been very pleased with Lloyd Pest Control's service for a very long time, especially with Carlos. Robert “always” does a great job keeping our home Pest free!The other day he let me know that roofing in the back of our home needed some work! My wife has been ill & I had not noticed it! Thanks Robert👌😊. Excellent service. Robert has been the technician that services our home. He is very competent and thorough. We have been using Lloyd quarterly for 3 years for indoor drain treatment for a past phorid infestation and outdoor house perimeter treatment for the bugs we don't want in the house. Every single technician and supervisor has been professional, efficient and courteous. Their services have greatly improved our quality of life here in the Hi Desert and all the outside birds and non-insect critters have thrived without any apparent harm from the chemicals which was very important to us. We give them our highest recommendation. 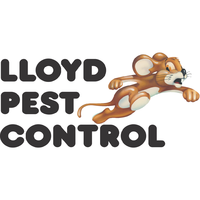 Lloyd pest control has been the go to service in our family for over 30 years. They are prompt , reliable and professional. Have used the services of Lloyd’s for at least 20 years, I think more, in 3 different homes/locations. Our Association here offers a pest control service: once a month with a different provider. Tried that but called Lloyd for help. Been great for 20+ years. I've been using Lloyd Pest Control since I started working at the apartment complex. Whenever a tenant has a problem with a pest, and I call in, they are prompt in coming and fixing the problem. We don't really have pests problem. I recommend Lloyd Pest Control for everyone else. I am satisfied with your service and Gilbert has always been prompt with any problems that may occur. I appreciate your prompt service when necessary. I have been a CUSTOMER of Lloyd Pest Control for almost 12 years. Their services have been excellent for the whole time. I would certainly recommend Lloyd to anyone. Really personal service...our technician Mikee is so nice and pleasant to deal with. My only complaint with the overall service is that we didn't receive a phone call in advance to let us know when they were coming so we weren't home and they had to come back another day. Better communication that way but otherwie great service. Your serviceman Jesse I think that his name is very thorough , an has good follow up. He step right in after James with was superb both are assets to your company. Good service from my new person Jay. Lloyd Pest Control is the very best. I have had your service since I moved into my home. I’ve never had a problem with any type of pest so obviously the service is effective! The service is consistently professional and reliable. The service rep assigned to us is Carlos, who is a credit to our company, and your training programs. I have always been very happy with your service,prior to getting u servicee I was over run with critters,have not had a single one,which pleases me.I would definitely recommend ur service to others in my park. I noticed a different name on the last service. I was not here when he was here. I prefer Robert (Whitey) to do the servicing for me. I think he does a great job.